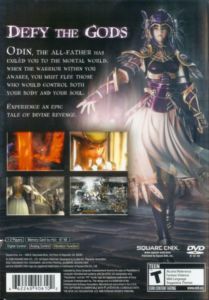 Hundreds of years before Lenneth's tale, another saga lies concealed by the gods. 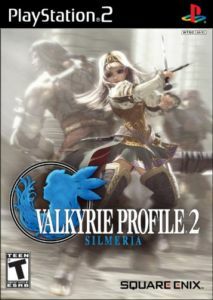 The valkyrie Silmeria once served Odin loyally, but after an incident ignited a conflict between them, Odin forcefully reincarnated her as a human. The human soul that would carry her spirit was that of Alicia, Princess of Dipan. Ordinarily, Silmeria's consciousness would have been sealed, her spirit dormant until she was next summoned… However, the forced transmigration causes Silmeria's spirit to awaken within Alicia, leaving two souls to inhabit a single body. The spirit that should have been sealed has awakened—a situation Odin will not ignore for long. This instalment introduces the new Photon Action System to the classic side-scrolling action format found in the original. Projecting photons grants players more freedom to explore and expands the action, resulting in challenging puzzles with clever solutions. Add to that "sealstones" that affect the laws of nature in dungeons, launching strategy to new heights. The unique, highly acclaimed battle system of the previous game has evolved into the Advanced Tactical Combination Battle System. Feel the exhilaration of accelerated battles raging across 3D environments for more spectacular and more strategic combat than ever before!